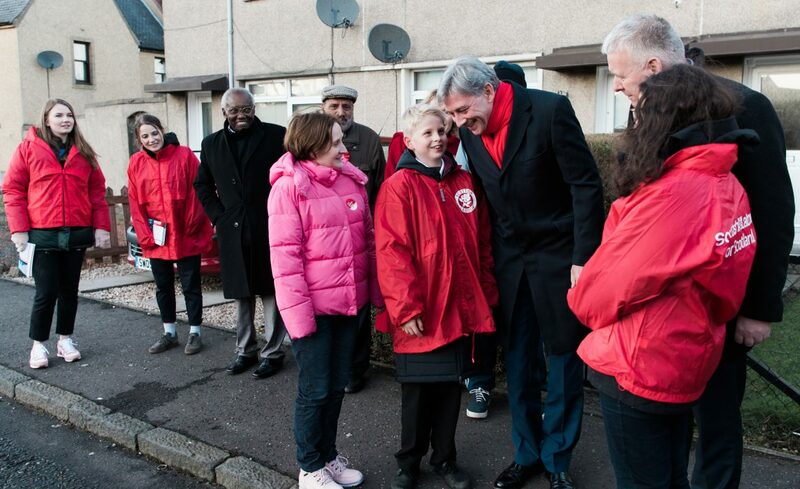 Under Richard Leonard’s leadership Scottish Labour has adopted and then adapted 8 of the 13 pledges contained in “For The Many, Not The Few”. The Scottish Policy Forum (SPF) oversees and conducts consultation with Party members and outside organisations on all areas of devolved policy (e.g. health, education, local government, tackling crime etc) towards developing our Scottish Parliament manifesto. The aim of the Forum is to consult with a view to presenting draft policy documents to the Scottish Joint Policy Committee. The Scottish Joint Policy Committee then reviews these draft policy documents before passing them on for debate and voting at Scottish Conference which remains the sovereign policy making body of the Scottish Labour Party on devolved matters. As Britain leaves the EU we will put our world-class creative sector at the heart of our negotiations and future industrial strategy. We need to do more to open the arts and creative industries to everyone. Labour will introduce a £1 billion Cultural Capital Fund to upgrade our existing cultural and creative infrastructure to be ready for the digital age and invest in creative clusters across the country, based on a similar model to enterprise zones. The fund will be available over a five-year period, administered by the Arts Council in England. It will be among the biggest arts infrastructure funds ever, transforming the country’s cultural landscape. And as with all our public funding investment, Scotland will also benefit from increased spending. The Scottish government will be able to choose to follow Labour’s lead and invest this money in the creative industries to support Scotland’s vibrant cultural sector, from the games industry to fashion, to museums and galleries, and the world renowned Edinburgh International Festival, created by a Labour government 70 years ago to help restore unity in post-war Europe. Similarly, the arts pupil premium we will introduce for every primary school in England – a £160 million a year boost for schools – will mean more money for the Scottish government to invest in arts education. We will continue to mark the ongoing centenary of the First World War, and the sacrifice of all those who died. Labour remains committed to honouring the role of all who have served our country. Being a performer is a great career, but too often the culture of low or no pay means it is hard for those without well-off families to support them to break into this industry. We will work with trade unions and employers to agree sector specific advice and guidelines on pay and employment standards that will make the sector more accessible to all. Scottish Labour would create a First Minister’s Committee on the Arts, Culture and Creative Industries, with membership from all sectors and regions. We will improve diversity on and off screen, working with the film industry and public service and commercial broadcasters to find rapid solutions to improve diversity. We recognise the serious concern about the “value gap” between producers of creative content and the digital services that profit from its use, and will work with all sides to review the way creators and artists are rewarded for their work in the digital age. We all need to work harder to keep children safe online. Labour will ensure that technology companies are obliged to take measures that further protect children and tackle online abuse. We will ensure that young people understand and are able to easily remove content they shared on the internet before they turned 18.